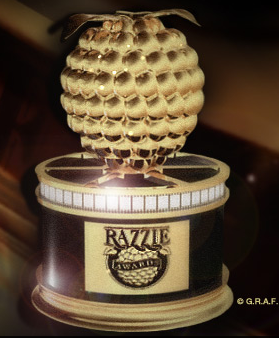 On Oscar night, as is now tradition, the yearly Razzie nominations are revealed to the public. Generally, this is a light-hearted, fun little jab at the movie industry, and one that over the years has picked up quite a bit of steam. Television and magazines cover them, and even such actors as Halle Berry and Sandra Bullock have made personal appearances to accept their awards. It has the potential to grow into a very real thing. But that being said, I don't think it will ever outgrow where it's at right now unless some big changes are made. The very first thing they need to do is get someone else in charge who knows more about the industry and who will really use some professionalism in the process. I know the awards are supposed to be fun, but just briefly looking back on some past nominees and winners, I'm already bored with the lineups. They get obsessed with films that they hear pop culture thinks are bad, and they overload their awards with them. This year, for example, "Transformers: Dark of the Moon" was nominated for five awards. Five. I get that people loved to hate on this one, and Michael Bay gets a really bad rap, but is it really one of the five worst films of the year in five different categories? 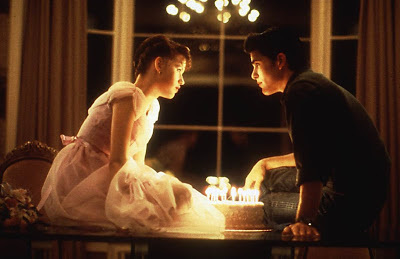 It was nominated for an Academy Award for crying out loud! Not that that's the end-all to the argument, but clearly there's a little something there. Another thing: let's stop nominating actors in the Worst Actress category every time they dress up like a woman. For one, it's usually in a dumb comedy that isn't even worth the attention it's getting anyway, but two, how about some real female actors that we thought did a bad job. This is a cop-out, and it's done every time they get a chance. These awards are more worried about being funny than actually being a good award show. And maybe that's all they're going for, but if they never want to be more than a joke, then there are ways it could be done. If I could make one opinion - I mean, one opinion outside of the countless others I've already provided - here's what I'd recommend to the awards: do anything you can to team-up with Rotten Tomatoes and make this a legitimate thing. Take every film from that site that got a wide-release, put like the bottom 50 reviewed films for each category on your selection lists, have the voters pick their five least favorite films, and the five that got the most votes would be your nominees. Then of course from those choices you'd open the voting to all of your membership - the combined Razzie members and Rotten Tomatoes critics (and maybe even instill some sort of fan voting segment) - and we'd have our winners. That would remove so many of films that really shouldn't have been there in the first place. Plus, you get better marketing and promotion because of the trusted name of Rotten Tomatoes. And thus, larger audiences. Turn it into a real thing and stop trying to be so damn cool! You're failing anyway. Anyway. They're still a bit behind the times, I think, but for now, here are this year's awards, courtesy of The Golden Rasberry's very own site, as ugly and messy as it is. The "winners" will be announced on April 1. Anybody see anything in there that they feel should take home the "prize"? There are some good selections - and don't get me wrong, many of them justifiable - but most just bore me and honestly shouldn't have even been nominated. I'm calling you out Razzie Awards! Make a believer out of me!